Clean Room Construction has boosted its engineering expertise with the appointment of Rob Tilbury as Projects Engineer. Previously, Rob was the Site Services Manager at Dantherm Ltd. He has worked in the HVAC industry for more than 30 years in various roles, including production, contracts, estimating, sales and managing installations. Managing Director Steve Lawton said: "Rob's appointment enables us to further strengthen our existing in-house engineering capability. He has a solid track record in the HVAC industry but also wider project management experience and an ambition to bring added value to our team and to the service we offer to the science and technology sectors. CRC remains absolutely committed to investing in our team to ensure we can continue to offer unparalleled expertise and an unrivalled service." 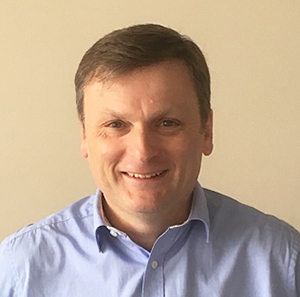 Rob added: "I am very excited about working for the UK's leading cleanroom design and build specialist and hope that my broad experience across a diverse portfolio of clients will further enhance CRC's existing service offering."